Good afternoon, gang. We actually have a little bit of sun out there today, and that’s going a long way to improving our cloudy attitudes of the past few days. As we look ahead, we find a super-duper setup, with a huge rain and wind maker, followed by the potential for some Christmas snows. A few wet flakes will try and mix in on the far north and northeastern part of the rain, but it’s not a big deal if that happens. Thursday will see our skies dry up, so enjoy it. Things get very active Friday into early Saturday as our cold front moves in, with slow-moving storm system developing along it. 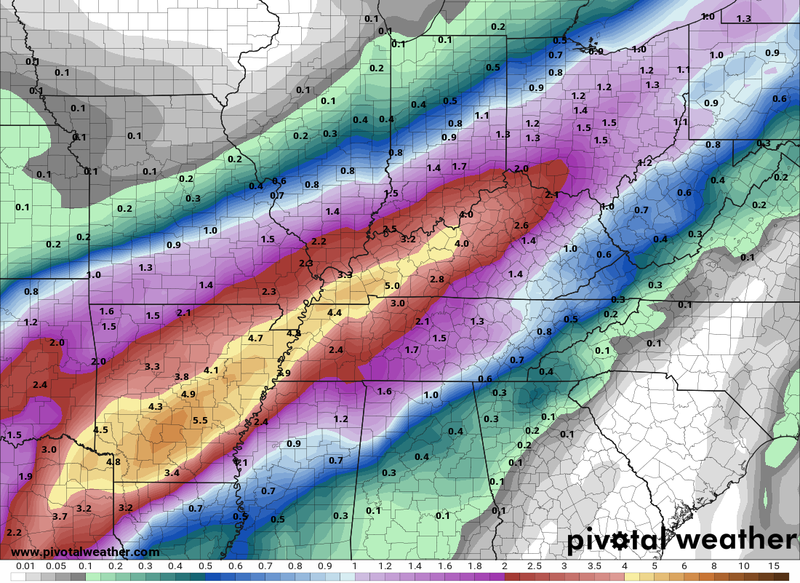 This is going to be a big rain maker, especially central and western parts of the state, and could lead to a high water threat. Some thunder is also possible Friday and Friday evening as temps spike toward 60 degrees. Winds will be very gusty and could become more of a player as we get closer. 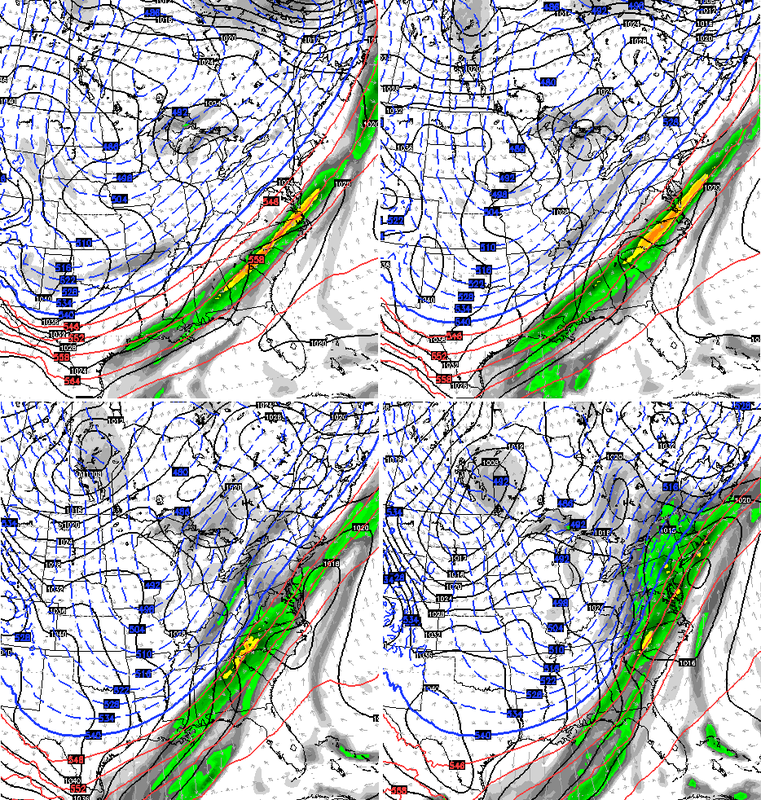 The front the slows down as it moves into the Appalachian Mountains, allowing for a wave or two of low pressure to develop along it. The models are still struggling with placement and strength of these lows, and that should continue for a few more days. Heavy rain and some thunder is likely to start the Christmas weekend. 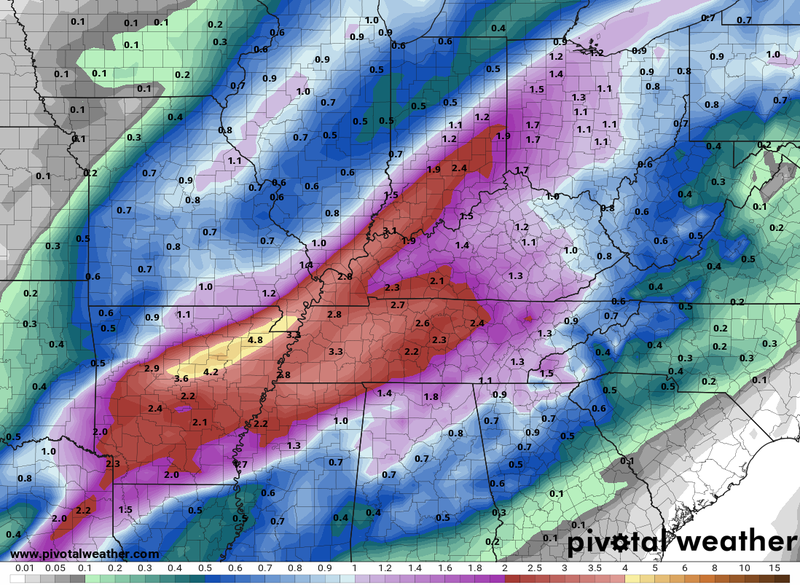 This may bring a local high water threat to central and western Kentucky. Temps crash on Saturday with the chance for a mix or some light snow showing up. A wave of low pressure develops and brings the chance for snow Christmas Eve and Christmas Day. The extent of this is still a long way from being determined. That said, we have a real chance for, at least, some light snow for the big day. 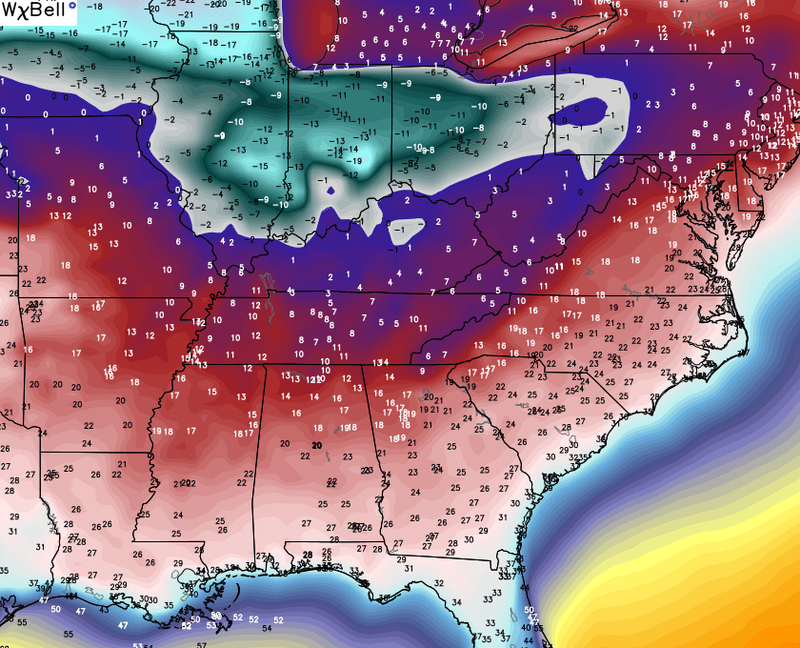 Arctic air comes in behind all this for Christmas Day and beyond. Thank you again Chris. I don’t know how you have time to do anything other than keep us weather weenies informed! But it is sure appreciated! Will be looking forward to the next update! Have a great afternoon everyone! LOL “weather weenies”, I love it! Chris, thank you for these updates! Lots of us snow lovers are hoping for a white Christmas, and we thank you for keeping us informed and sharing your expertise (we’re doing our part, crossing fingers and toes, doing snow dances, and checking in here at least ten times every day!). Have a great one, all. Thanks for your great communication of what you are trying to interpret from the models! That would have been more with the first system that was showing as ice a few days ago. That could have been an epic Holiday buzz kill for the area. 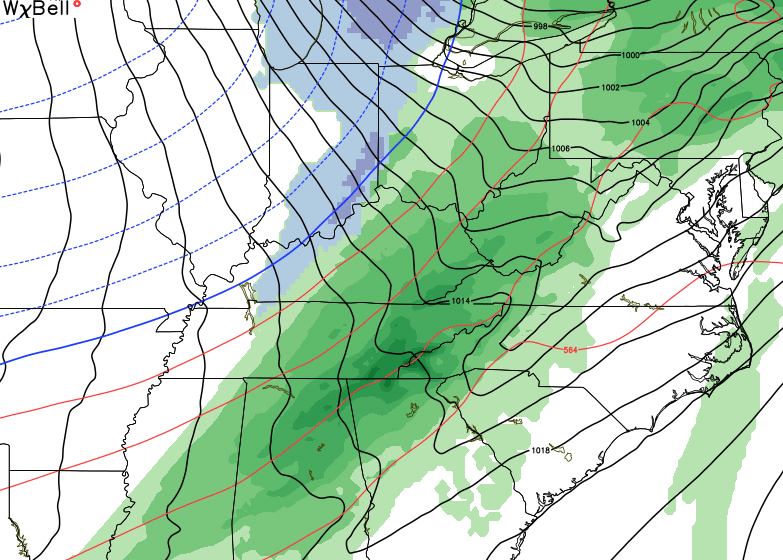 Seems could be a mix mess followed by some light snow a this weekend. Will be surprised if more than that. Thanks Chris, AccuWeather on Christmas Eve had my area in a major ice event with a total accumulation of 1.27 inches of ice. Since then they have changed the forecast to light precipitation of snow, sleet, rain and some freezing rain. What is this some kind of joke ? 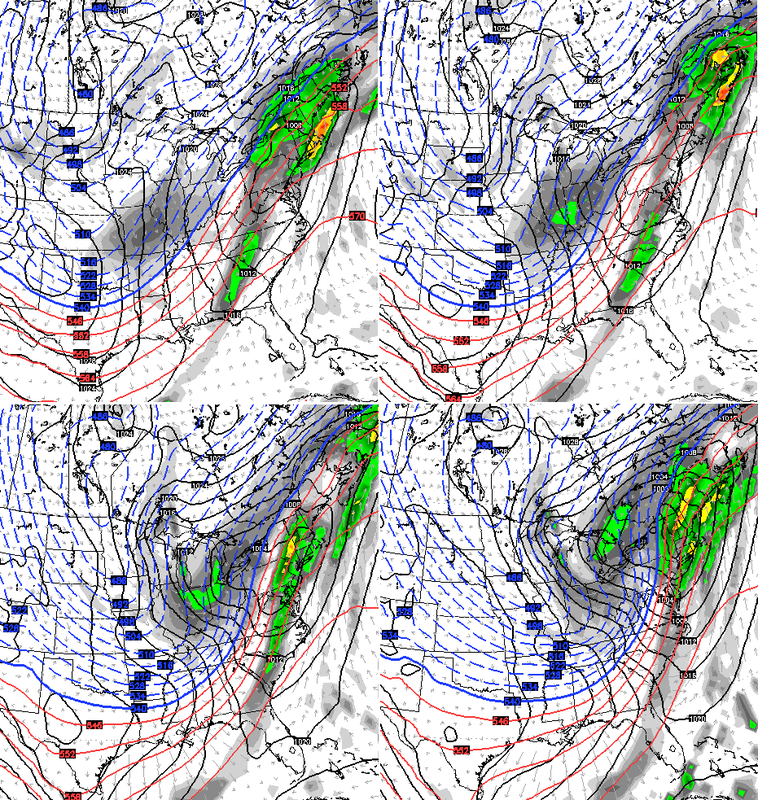 The current GFS has Christmas weekend dry and in cold in high pressure. 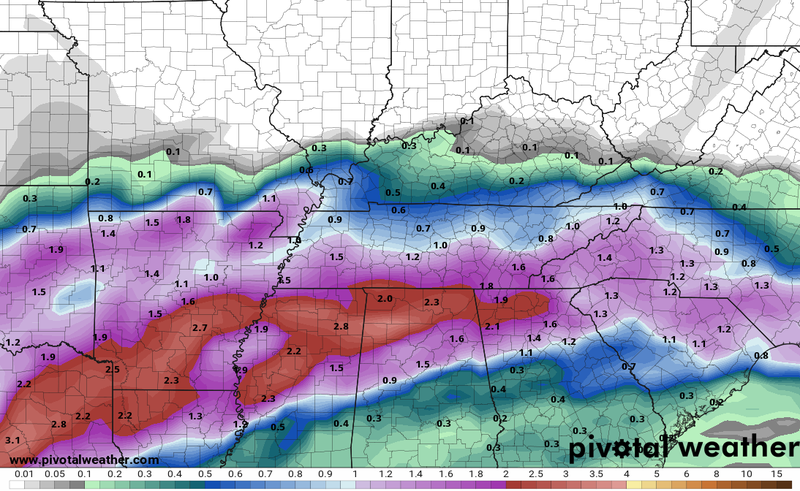 The NAM currently has us in rain for tomorrow. Doesn’t seem like they are going to agree on anything. This doesn’t bother me at all, but people who are traveling it would be stressful. Your very welcome Ralph. Where have you been ? I really enjoy your comments. Hope you and your family have a Merry Christmas. All aboard the hype train! Next stop, Christmas Eve! Joe bastardi says the storm will be on the coast. We have a chance and that is all you can ask. But of course he would. Virtually every time he says that. He may be right… Let’s see what Charlie Bravo says later. I don’t ever remember the weather being this uneventful hopefully that changes this week. It’s still early. But this past Fall was very uneventful and were it not for the southern snow last week, December would be just as dull. No Blizzards, Nor’easters or big Pacific Coast Storms so far. I hope we aren’t heading in the same direction as last Winter. A big snowstorm would be great. But I would settle for a small one for the Holidays. I would settle for a decent rain at this point. It beats nothing. I’m going to go out on a limb and say, we just might not know until short range models come into range. While I don’t see significant snowfall for much of our region (4″+), it is possible to see some minor accumulation up to 2″, maybe near the holiday for some. But I am not falling for that late next week smackdown courtesy of the Euro just yet. WOW, all the haters, and “hype train”‘ers are out in full force. He merely states of his interpolation of the models as he sees them. He does an excellent job of keeping us all informed. More so than my 4 local stations here in Louisville. Chris, pay no attention to the haters. You are extremely appreciated by the vast majority here.